I'm the kind of person that either wears no makeup or goes all out with a smokey eye. However if I'm in a rush to get ready I'll go for a super easy smokey eye makeup & one that has been my go to when I make a bit more effort. 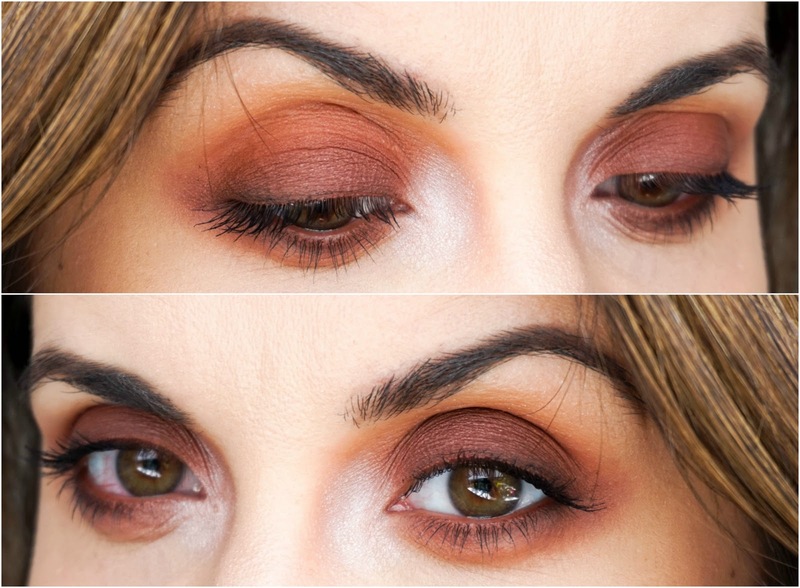 So with some recent new product additions to my makeup collection I thought it might be a good idea to tell you exactly how I create a sultry, smokey eye within minutes. 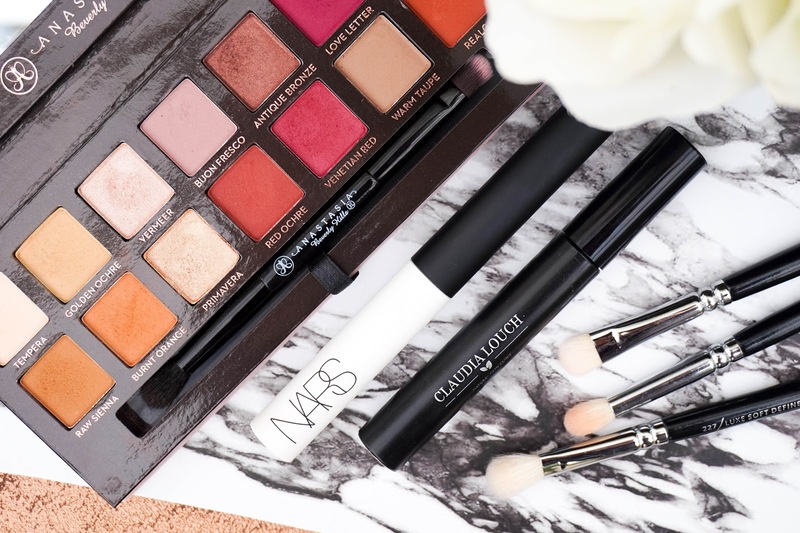 The key to creating a smokey eye in the first place is good quality brushes. In my opinion they are the only way you will create a flawless look within minutes (finger tips or cotton buds just won't cut it I'm afraid). Gone are the days when you would use those awful sponge applicators that came with drugstore shadows, because now there's a huge range of availability from both high end & budget brands! So you can get affordable brushes with budget prices from brands such as ELF, Makeup Revolution & Real Techniques. After trying out a few different brands myself, with MAC being one of the high end options... I've come to find my favourite brushes are definitely from Zoeva. Price wise they are mid range (I know they did have an increase not too long ago which is a bit of a bummer but I guess that's what happens when a brand becomes super popular). For me personally the quality is on par with the likes of MAC and I just love how well they are designed. I'm eager to get my hands on the beautiful rose gold set for sure. For a smokey eye makeup look these three brushes are my absolute must have. The flat shader is fantastic for applying shadow onto the lid using a tapping motion to get a strong colour (of course it will leave a harsh line behind so you do need to blend it all out afterwards). It's also great for using on the lower lash line because of its flat shape. 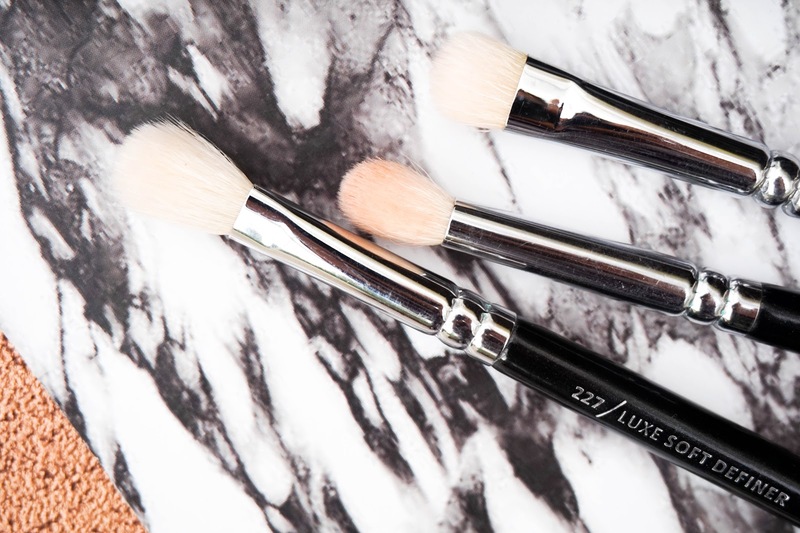 A fluffy blending brush is perfect for blending out the edges to create a soft finish. This is very similar to the ever so popular MAC 217, which I also own and find very little difference between the two other than the price tag. I couldn't create any kind of makeup looks without a brush like this, it's definitely a must have. Lastly I have a petite crease brush with a tapered shape and a pointed tip, which is great for detailed work. 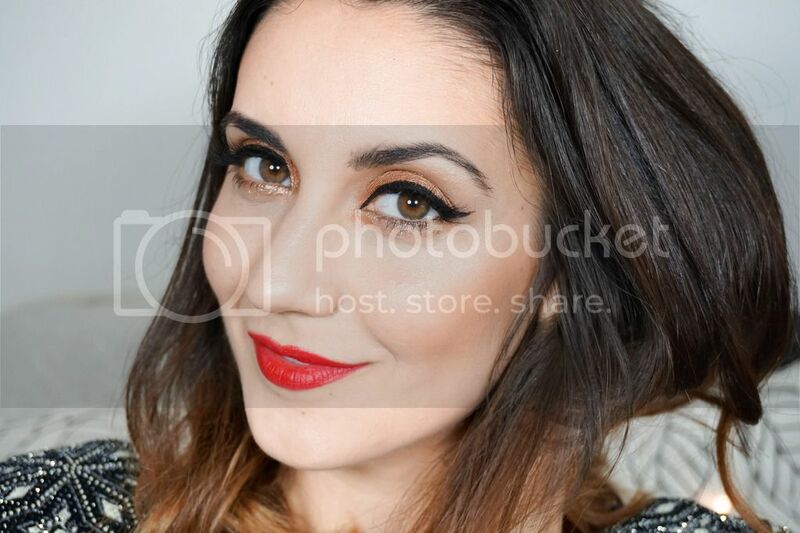 I like using this in the corner of the eye and the crease, to accentuate the crease overall. Of course the eyeshadow that you use is very important and although I love my high end palettes such as this gorgeous Anastasia Beverly Hills Modern Renaissance palette... I can't deny that there's some brilliant options out there from budget brands (Makeup Revolution being one of the best options). I simply love the warm tones and red/orange shades in this palette, they are totally different to anything else in my collection and I find that they suit my complexion quite well. I've got a full review on this palette here, so I won't go on about it too much but it's definitely a winner in my book and I'm so happy I got my hands on it. Next up for me personally an eyeshadow primer is absolutely essential to any kind of eye makeup look I create. Despite the fact that I have dry skin, my eyelids tend to be on the oily side... so if I skip on the primer, my eyeshadow creases & fades away within a couple of hours (not a good look). I've tried a few different options, but budget brands just didn't cut out for me unfortunately. Until I stumbled upon this NARS Smudge Proof version, I used to love the Urban Decay option. In my opinion they are both fantastic options that will keep your shadow in place all day long, even as long as 12 hours, which I have tested before at weddings. I'd love to know if you've got any other suggestions for great eyeshadow primers? To finish off my makeup look I always rely on a good mascara, because false lashes are reserved for special occasions. 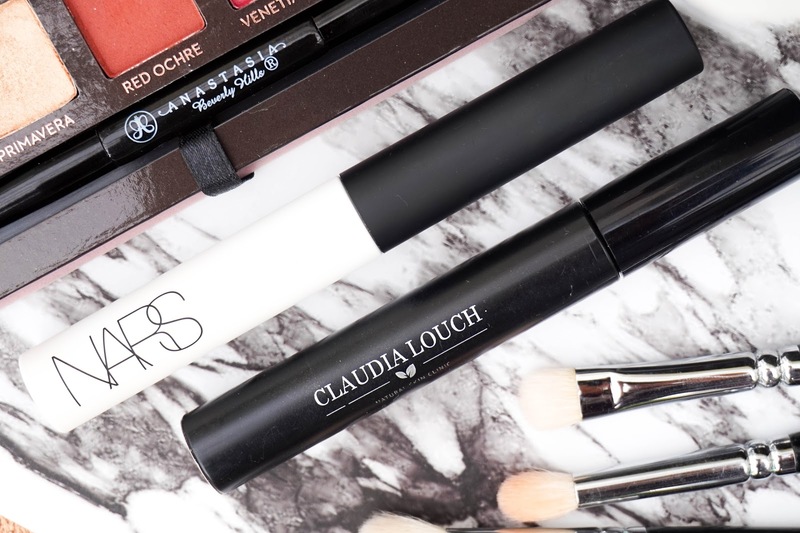 For a while now I've been trying out the new Claudia Louch Intense Mascara* and it was definitely love at first sight. The curved, plastic wand is my favourite kind of mascara wand as I find that it instantly lengthens and curls the lashes, reaching even the smaller ones in the inner corner of the eye. The formula is water resistant, so I find that the curl lasts well all day but it's not super hard to remove at the end of the day like other waterproof formulas. As the name would suggest the mascara has a super intense black colour to it, which I love. I also like that you can apply a few coats of this for a day time look or build it up to get a more dramatic finish. The mascara overall get a huge thumbs up in my book.